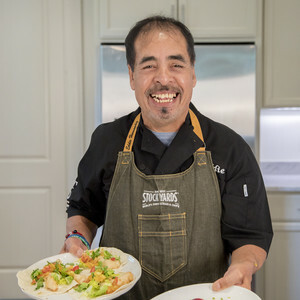 Eddie Hernandez is the head chef behind the widely popular and Atlanta favorite Taqueria del Sol, where casual Tex-Mex fare meets good ol’ Southern cookin’. 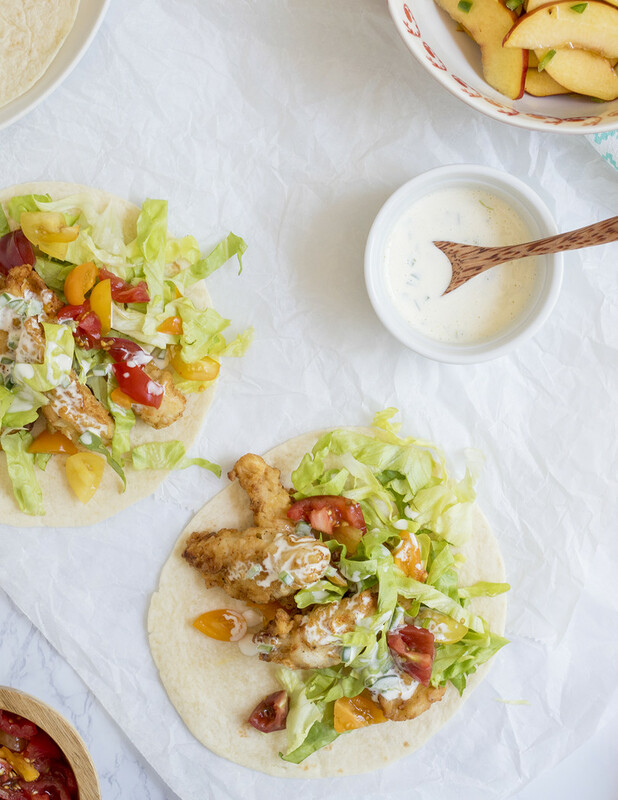 All parts of this recipe - including the tacos, the sauce and the peach salad - are adapted from his new book, “Turnip Greens & Tortillas,” and complement one another on the plate like no other. 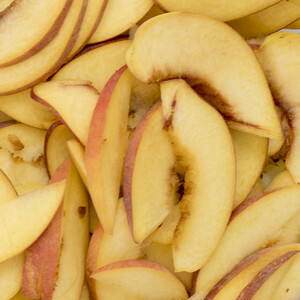 Underripe “green” peaches are more tart than the plump,nectarous peaches you may be familiar with, but they still have a hint of sweetness to complement the salty savoriness of fried chicken. 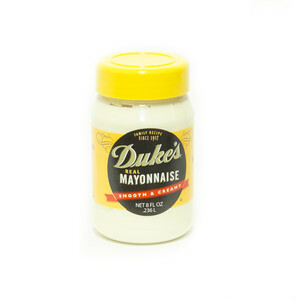 The creamy jalapeño-lime mayo adds another interesting layer of subtle heat and refreshing coolness to tie it all together. Suggested beer pairing Mexican Vienna Lager Fried chicken tacos sound like the perfect fusion between Mexican and Southern cuisines that I can imagine, so we are suggesting a Mexican Vienna Lager. A little historical sidebar is necessary for this explanation: in the 1800s Mexico was briefly ruled by Austria, which brought Vienna Lager to the new world (which is the style that Mexican beer emulates). Suggested wine pairing Albarino - Rias Baixas, Spain There’s an aromatic intensity to albarinos that remind you of flowers, tropical fruits, and honey. It can take the kick from the jalapeño without the tropical notes falling off the background, and it has the acidity to counter the weight of the dish. • Halve peaches. Discard pit, and thinly slice flesh. 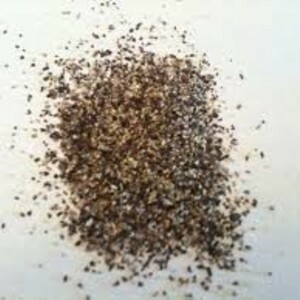 • Discard pepper seeds and stems. Finely chop flesh. 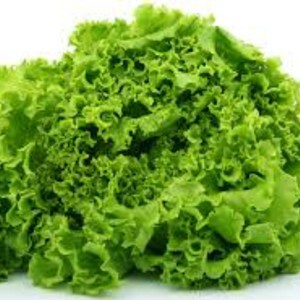 • Thinly slice lettuce leaves. 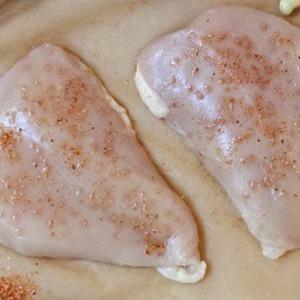 • Cut each chicken breast lengthwise into 6 strips. 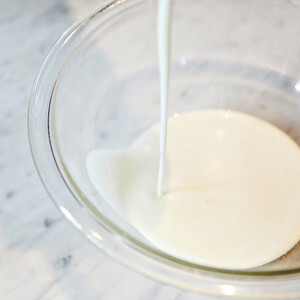 In a bowl, combine chicken and buttermilk. 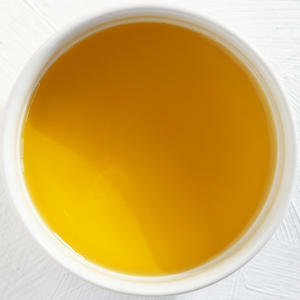 • In a large bowl, whisk together 1 tablespoon cooking oil, half of lime juice and 1/4 teaspoon kosher salt. • Add peaches and 1 tablespoon jalapeño. Toss to coat in dressing. In a small bowl, combine mayonnaise, remaining lime juice and about 1 teaspoon jalapeño (use more or less to your preferred spiciness). 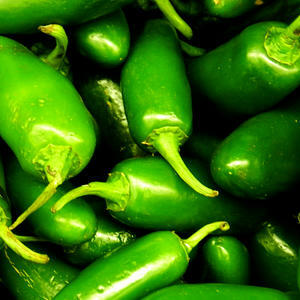 Taste and adjust seasoning as desired with jalapeño and kosher salt. • Place a large skillet over medium-high heat. Add 1/4-inch cooking oil. 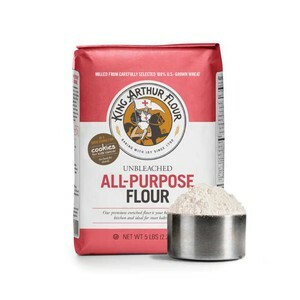 • On a plate, whisk together flour, 1/2 teaspoon kosher salt and 1/2 teaspoon black pepper. • When oil is hot, add chicken. Cook without disturbing until golden brown on bottom, about 3 minutes. • Flip chicken. Cook, turning occasionally, until browned all over, 3-4 minutes. • Transfer to a paper towel-lined plate. 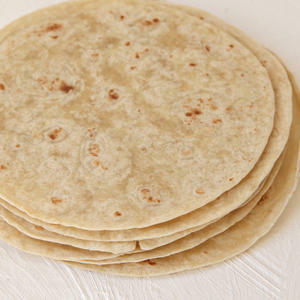 • Fill tortillas with chicken, mayo, tomato and lettuce. • Serve with green peach salad, and enjoy! Eddie Hernandez was born in Monterey, Mexico. As a child, Eddie learned to cook from his grandmother in her restaurants in Mexico. At age 16, he moved to the United States to pursue his dreams of becoming a famous drummer. After deciding it wasn't the life he wanted to live, he moved to Atlanta in 1989 and found work at a Mexican restaurant south of Atlanta. He quickly made his mark in the kitchen, laying the groundwork for his business partnership with Taqueria del Sol CEO Mike Klank. They opened the first Taqueria del Sol on Atlanta’s Westside in 2000, creating a menu inspired by Hernandez’s native country and Klank’s experiences in the American Southwest. 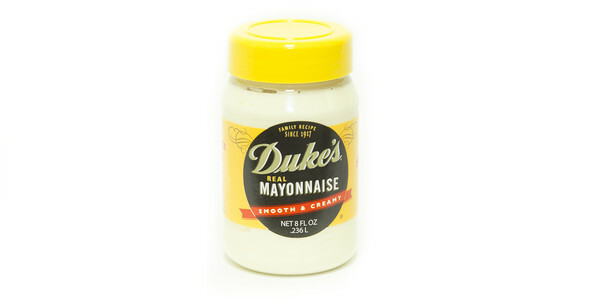 Along the way, Hernandez was introduced to traditional Southern ingredients.